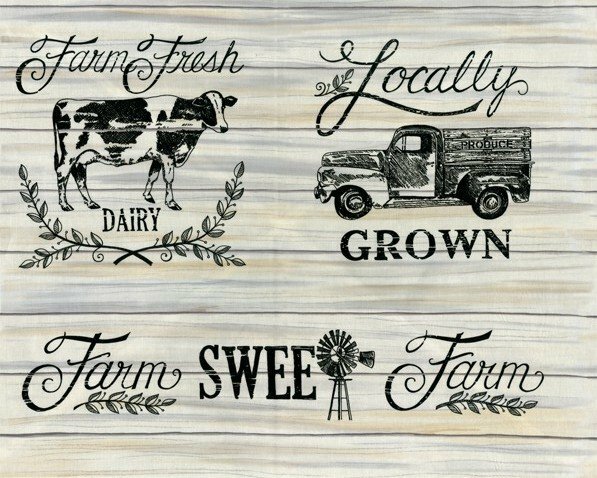 Moda Homegrown by Deb Strain - Farm Sweet Farm fabric panel in Distressed Whitewash barnboard. Tractor, farm animal, cow, farm. 100% cotton, 44" wide. Panel measures approx. 24" x 44"